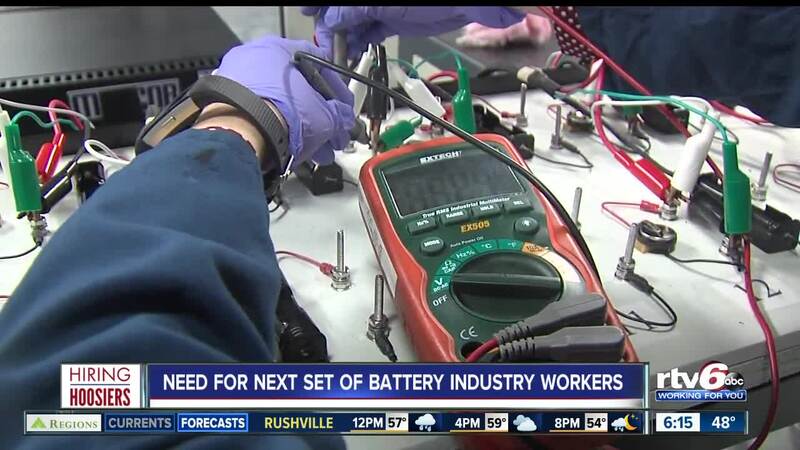 attery Innovation Center, also known as the BIC, builds batteries for several companies to power your favorite products and make sure they are reliable, safe and efficient. The center is working with companies like Cummins, Facebook, Amazon, Stanley Black and Decker as well as Valvoline. NEWBERRY — The town of Newberry south of Bloomington is at the epicenter of battery research and testing. Battery Innovation Center, also known as the BIC, builds batteries for several companies to power your favorite products and make sure they are reliable, safe and efficient. The center is working with companies like Cummins, Facebook, Amazon, Stanley Black and Decker as well as Valvoline. "We work with our clients to help educate them about what the next generation of batteries what's available and what can help in their progress," Ben Wrightsman, BIC president and chief executive officer, said. "Number two, we also help them understand what is out there today." Jonathan Pace served in the military where he specialized in artillery. Pace said his ability to work without supervision and follow instructions were a big plus in landing a job at the BIC. "It was a very rough learning curve I'm not gonna lie much like the military when I first went in learning the standards and procedures," Pace said. Pace said advances happen quickly in the ever-evolving industry. "Technology is advancing almost every day so you could walk in one day see something and then a couple of months later and now it's obsolete and there's something to replace it," Pace said. "So the battery world is drastically changing." The reality is that there are not enough people with experience in battery-related fields to fill the demands. The BIC is working with Vincennes University, Purdue University, and Indiana State University on curriculum to help the existing workforce to beef up their skills. The skills taught in the programs can lead to a variety of jobs, including technicians, engineers, designers, researchers and high-tech hourly positions. There is a need for more people as more companies look for the next source of energy. Wrightsman said he's aware of at least 200 jobs available among his partner companies. "We need a new workforce," Wrightsman said. "From hourly all the way through engineers and advanced scientists so it's not just one specific skill set it's a broad range of skill sets." "We're looking for a broad range again from an hourly workforce that's looking for the next skill up and the opportunity to do the next thing and be involved in the newest technology and we look for those high schoolers who say I'm not sure what I want to do today maybe they see the current workforce and said I want to go into a new area something that everyone is not into -this is obviously a very unique area."